...has a way of getting in the way of sewing. Yet, it's all good. Talking on the phone or on Skype with my grandson. Doing and teaching yoga. Walking Rocco. FaceTime-ing with dear dear friends (1.5 hours!! Love it.) 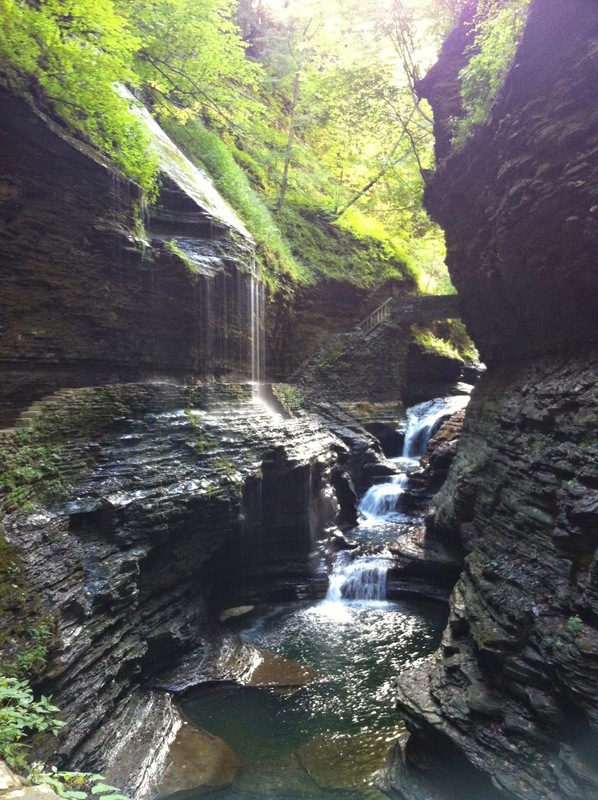 A memorable trip, 3 days, to Watkins Glen to meet up with more dear friends. Reading. House-hunting. All of the above have hindered my progress with "fleurs". Would I have traded any one of them for a little more time sewing? Not on your life. Not a lot of progress since the last post. All I've done is added the 1" finished green border. I have, however, been making some decent progress today on the trellis final border. Can you spot the one block with the squares as opposed to half-square triangle squares?! 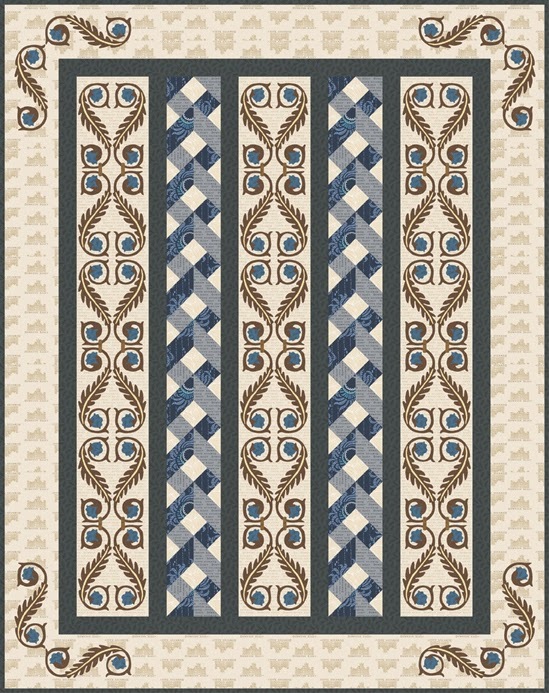 This trellis block, which I mentioned in my previous post, is from the Trellis Quilt from Makower. It has a Block A and a Block B, but the pattern shows them as identical. I did figure out what Block B is actually supposed to be, so I will perhaps write to them about the error in their pattern... Block B is a mirror image of Block A. Anyhow, I hope this will give the effect I want. 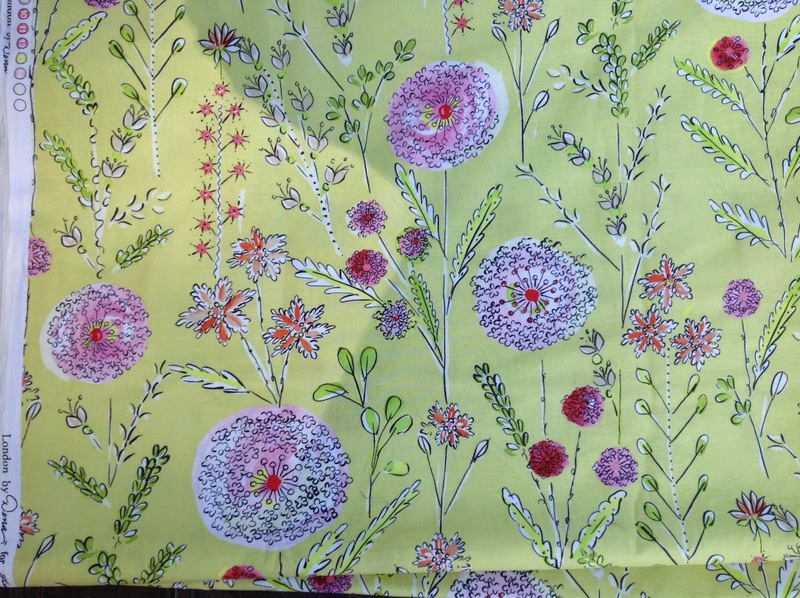 I do like the interplay of colour in the deep green fabric! It looks like light and shadow, perfect for the garden effect I seem to be creating! In Watkins Glen, I had the fabulous opportunity to visit O'Susannah's Quilts and Gifts, Top Ten shop in the Fall 2013 issue of Quilt Sampler. Janette and I spent a great hour in here, and it wasn't hard for us to support this shop! The guys had their own fun, visiting the famous racetrack. Love that Paris quilt! Love the ceiling too! Loved Watkins Glen. The scenery, Seneca Lake, Seneca Gorge, Seneca Lodge, where we stayed, the vineyards, the mountainous terrain, the picturesque town set at the foot of the lake with hills rising on either side, the farms, which, as one of my friends who was there in August put it, are "Americana views at their best", and she was absolutely spot on. Seneca Gorge - breath-taking views, falls, pools, rock, and a great workout to hike to the top and back, 3 miles round trip. Oh, yes. House-hunting. We sold our Florida condo about a month ago, and because of one thing and another, need to go down a little earlier than originally intended to pack up etc. So we leave Tuesday, September 23! So if you are leaving in two days does that mean you have to have this done?? And when you go are you gone for the winter?? I bet you are flying around trying to get everything ready! Is it the one in the northwest corner? Very hard to spot. YES! We had the most delicious time in Watkins Glen with you guys! It was short, but very sweet. Your enthusiasm is contagious and I loved shopping for "fab" fabric at Oh Susannah's. I'm totally inspired to start quilting again! Safe travels south and back again! I know nowt about your question about the trellis but so cool.....I can see it taking shape! Beautiful pictures! I'm sure Rocco was beside himself seeing Brandy, his gf again LOL! You got it! Love that, a true country gal: "northwest corner". :-) Thank YOU for being such a fun shopping buddy! And for taking the pic of moi. Can't wait to see you again this winter.